Getting an opportunity to hunt while on a deployment is not something that happens very often, and I am very fortunate to be given the chance to do so. 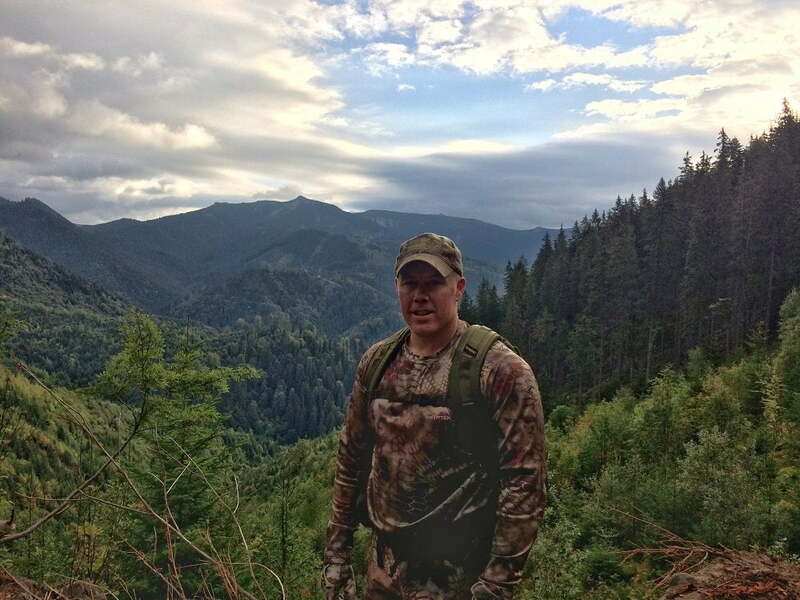 To be honest, I felt guilty for even doing, but I had the opportunity so I headed to the Carpathian Mountains of northern Romania for a four day hunt. After deciding to hunt free range red stag, I was excited but also extremely nervous. 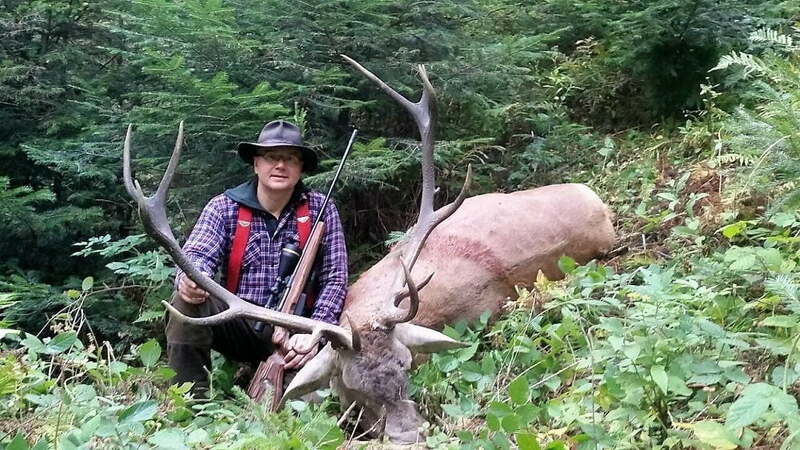 Harvesting a red stag has always been a dream of mine since I was a little boy. This was completely out of my forte and I considered cancelling my reservation several times and eating the deposit simply due to my commitment to my Soldiers among other things. Going on a four day hunt, having to pay the money and not being guaranteed an animal is hard to grasp as well. That is true of any hunt but this one seemed to have higher stakes as I have always been a DIY hunter. 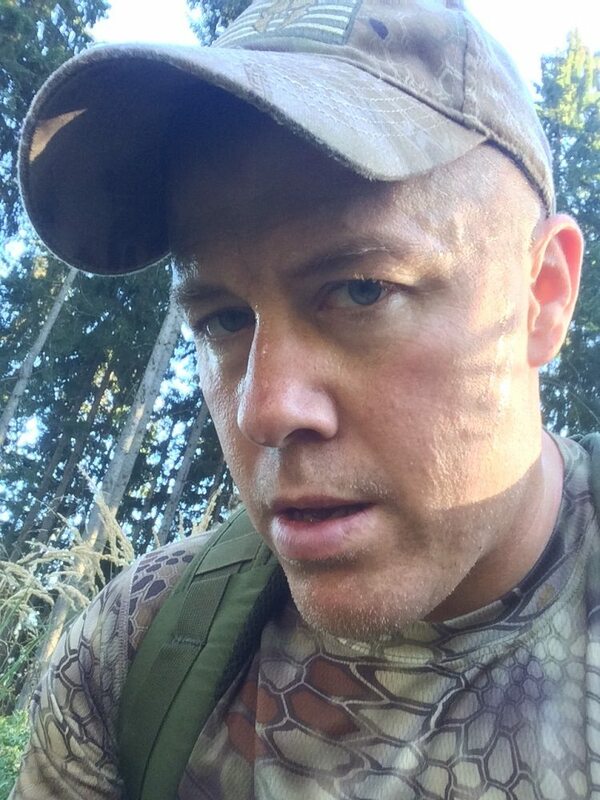 Many of us as hunters put far too much pressure on ourselves to punch our tags. Even to the point it can take some of the fun out of the hunt. I am no different and I am very critical of myself. I was quickly reminded of why I decided to do the hunt when I heard my first roar on the morning of September 15th at 6:34 am. Feeling the Transylvanian roar was amazing and it reminding me of hunting elk back home (it was certainly not the same as hearing them on YouTube.) The terrain however felt like I should be hunting sheep due to the ruggedness of the mountains, and the vegetation is much like a jungle in many places. 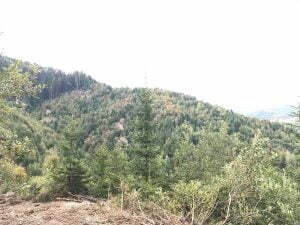 Romania does not log most of their forest so it is thick with undergrowth and pine trees throughout. Getting a shot at a stag would require being within 100 meters at most times. And of course finding them meant they needed to be roaring. There were five of us on this hunt. Two gentlemen from Sweden, two gentlemen from Slovakia, and this lonely American. We all met our rangers (guides) the night before the hunt. I was paired with Sorin. He works as a ranger for the National Forest Service and from what I understand, his job consists of helping take care of the animals in the forest and the habitat in which they live. I was paired with him due to the fact that he knows the areas that hold the biggest of the stags for which we were hunting. Many Romanians speak English but Sorin spoke very very little. We understood some of the same words such as stag, roar, beer, coffee and bear. Although when he said bear it sounded as if he was saying beer so I had to be on my game and relate it to the environment in which we were in! Sorin is a good man and it quickly showed that he took pride in taking hunters out to find an animal of their dreams. 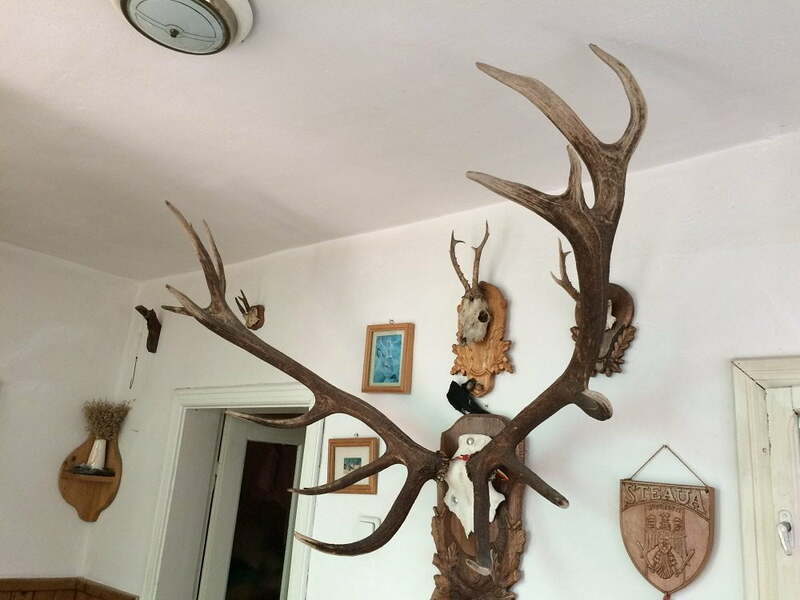 After our first day, he took me to his home where his mother had coffee prepared for us and he showed me his impressive collection of red stag. I tried to talk him out of a couple sheds, but he wasn’t having any of that! He is a great man who works hard at what he does for very little earnings. As I mentioned earlier I heard my first red stag roar on this day and how magnificent it was. Soon we had three stags roaring in various areas of the forest and were lucky enough to see the one we decided to go after at nearly 1200 yards away high near the mountain top. I really wished I had my long range rifle with me! You would think it would be easy to close the distance but two hours later we were finally getting near the area and of course the stag had moved to heavy cover by then. And even if he would have still been there we wouldn’t have been able to get a shot due to the foliage. The only thing we saw at that point was a brown bear crawling out of his den close by. This areas has one of the highest population of brown bear in the world. Unfortunately the season has been closed down due to political reasons by people who do not understand what is best for the animals. Sorin carried a stout rifle with him for defense; it had both a 30.06 and a 12 guage barrels. I hoped that was enough but really didn’t want to find out. The elevation change of this area is astounding. My lungs screamed at me and my legs ached. After the stags move into the heavy cover the hunting ceases until late afternoon when you return. The stags only roar in the first and last couple hours of the day making it harder to pinpoint them in the thick cover. It seemed we were a bit early for their peak rut as the roaring was nearly non-existent and only happened the first couple minutes of the morning and evening hunts. 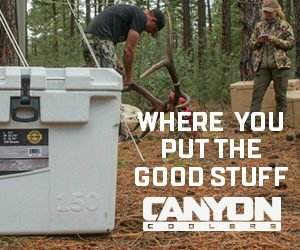 It reminded me of my own my elk hunting back home the last couple years! We returned that afternoon to another section in that area and took a heck of a hike and didn’t hear a single roar but did see some amazing country and a lot of bear sign. As the pickup bounced down the rough forest service road, I was remembering back to when I was a kid riding with my dad in his pickup down a rough road. We entered a new place that had a few more open meadows. We soon heard a roar but wasn’t sure where we wanted it to be. We made our way in that direction but ended up turning back and heading to the pickup due to the jungle that lay before us. We couldn’t see a thing! 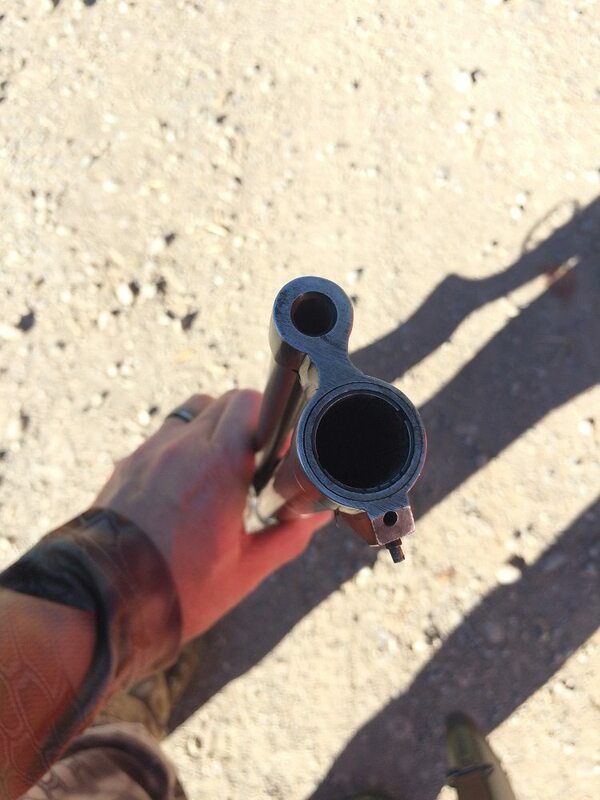 Another morning down…It was always hard for me to not hunt the middle of the day but it wasn’t my choice. I would have loved to still-hunt some of the bedding areas but I was told that wasn’t an option. Later that afternoon we made the brutal hike where we were on opening morning. The stag roared about an hour before dark and by the time the second roar came he was obviously making his way down. As Sorin and I exchanged sign language I was denied my want to get in front of the bull and ambush him. The thermals had changed and everything seemed legit. I knew where the bull was going to go. From what I could gather, Sorin thought the bull would come into an opening below us. The bull roared within 20 meters, but still with no opportunity for a shot. The forest went silent and the time came to pack out. Much to our surprise as we started down the old, slippery logging road the bull was coming right up to us. Too dark for a shot and the stag put some distance between us in a hurry. We stopped at Sorin’s for a shot of homemade brandy that nearly made the hair on my head fall out! It was some potent stuff let me tell you and the locals took pride in their brandy as well. Although we were not able to verbally communicate well, we definitely would be great at charades one day! We enjoyed each other’s company and laughed at the jokes we could both make out with sign language! We made our way back to the spot where we were the night before and settled in to listen. We only heard a faint roar from long distance over some unknown ridge. 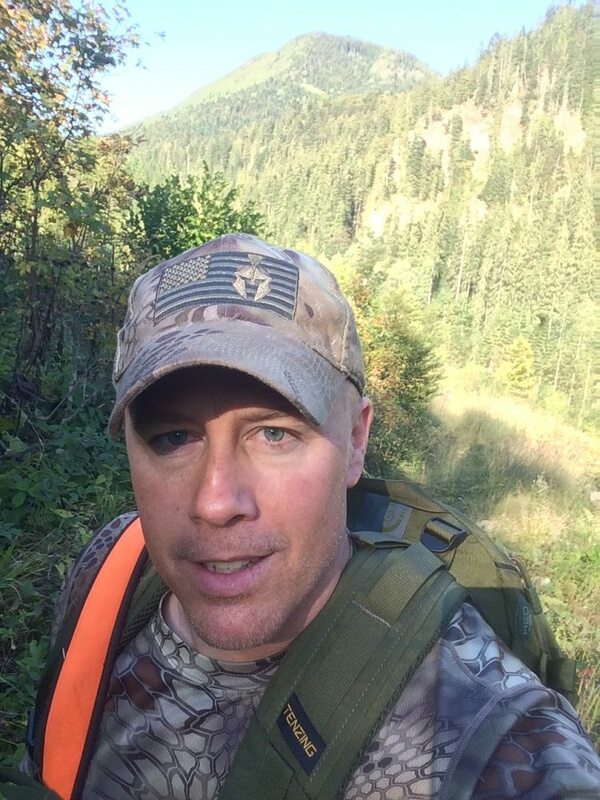 I was tired of walking the logging roads and motioned that we still-hunt down the side of the mountain. Sorin agreed and I found out quickly this wasn’t any fun! Thick was an understatement. This was some of the nastiest terrain I have ever been in! Eating fresh blackberries and raspberries along the way made it worth it however! In the afternoon, we went to a new place and as we hiked several miles in again. I noticed more open areas that were more conducive for a shot. We just needed the roar to start and a stag to enter the game. 20 minutes into our sit the mountain was swallowed by a fast moving storm with very high winds. We hunkered into the small pines away from large “widow maker” trees that could smash us. Sorin motioned that we leave, but I wanted to stay. In a moment’s notice, the wind became even stronger and I watched as large pines began to fall. Sorin then made it very clear it wasn’t my choice any longer and we quickly backed out. 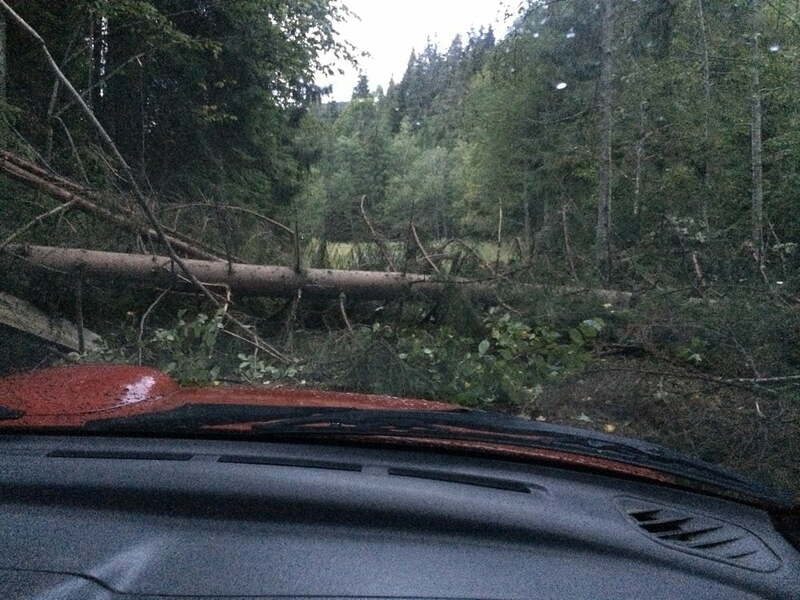 It took us several hours to get out of the forest that night as there were downed trees all across the road in several spots. It got western! We encountered 16 downed trees in all, but they didn’t stand a chance against two irritated men and a one chainsaw. Again we left the pickup and headed up an old sheep herders trail in the dark. I wondered if I would be able to even get a shot at a stag. The fog had rolled in and we were in the thick of it being only able to see maybe 60 meters ahead of us as we inched higher in a big meadow on the side of the mountain. We were startled as a roar snapped us back to reality from right above us. By the time we had got to that area, the stag was gone as I knew he would be due to the thermals. I try to hunt the wind a little smarter than that but again I was a newbie in an experienced man’s world and there weren’t any other options to get up this mountain without becoming a bush whacker! We checked out a high meadow that led to some spectacular views as the fog was clearing out. 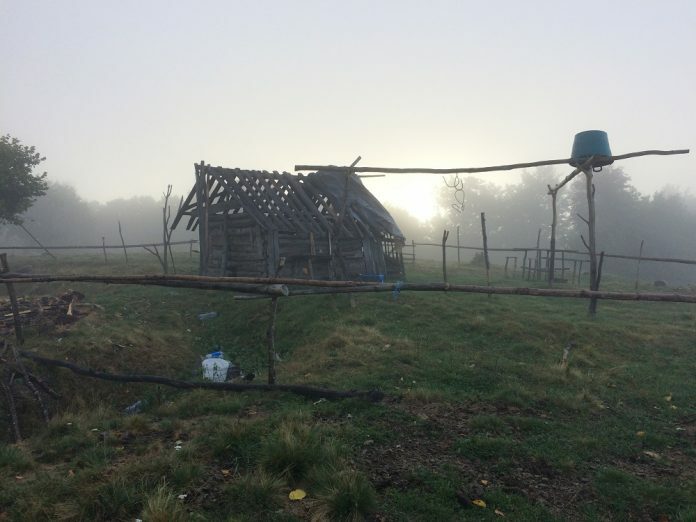 An old sheep herder’s shack sat vacant and I wondered about the history of the place. It was a beautiful morning but again…no stag. That afternoon I switched rangers and went along with Marius to a new area. 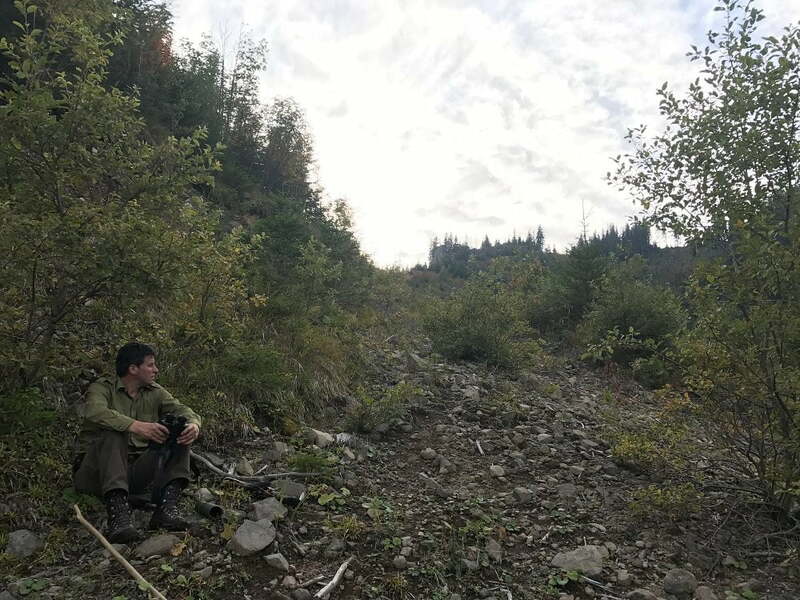 Marius is the main coordinator of Hunt Romania and I wondered why I hadn’t went with him earlier in the trip. Again I was told that he wanted me to have a chance at the biggest of the stags. But we were getting down to the wire. As soon as we left the SUV, we heard numerous roars! We inched closer and closer to this bull who was proud of his thunderous roar. A roar that was so unique, a roar that sounded nothing like that of any of the others. We now had four stags sounding off and in an argument with each other! The biggest and most unique sounding stag was above us, another to the left and one coming up from below us. The fourth seemed to be wandering around. The wind was great for the big stag and we were within 100 meters of him several times but again, unable to get a shot. We reached a blind that they had previously built up and Marius and I settled in. The big bull kept roaring well within rifle range but the trees kept him safe. 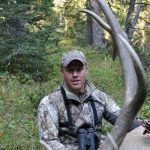 I wanted to get out of the blind and finish the stalk like I have several times with elk back home. This was my forte and I was in my element. But again I was reminded that I was the rookie here and my opinion meant very little. I respected the decision of the rangers and guides but to this day I know I could have killed that stag if I would have finished the stalk on my own with my boots off. But that is all talk because I have no idea if it would have worked or not. 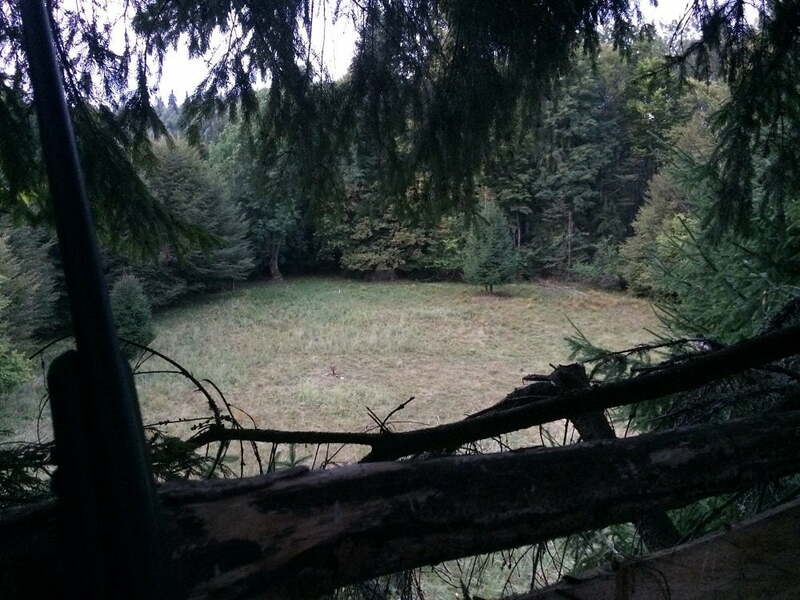 All I could do was sit in that blind and listen at the stag roar like a demon on this last evening of the hunt;that only made it sting even more. Marius was nice enough to let us hunt one last morning. This was my final morning of hunting before departing for the airport and I was struggling with my emotions. I would be lying if I said I didn’t drop some tears as I cried to my family about the struggles and frustrations of this hunt. I am actually that way on every hunt when things don’t seem to go well for me. I am selfish in that way. Like I said earlier, I put a lot of pressure on myself. My family is always there to help pick me up and to get my spirits back into shape. They are a God send! We were back again to where all the roaring took place the night before only to be discouraged by the high winds. The stags will not roar when it is windy and it all became reality that I would be leaving empty handed without a punched tag but instead with a pocket full of new memories. The weather didn’t help us and the roar wasn’t on full swing yet. I felt jealous for the next set of hunters as they would likely hit it just right! It was a very tough pill to swallow and I keep getting choked up knowing that I couldn’t make it happen. It is something that I do not know very well when it comes to hunting but let’s say it will keep me very humble. Maybe that is what I needed to remind me that it isn’t in my hands but rather in His. As I sit here at the airport awaiting my flight back to base I can’t help but think back to the previous days and remember all the new things I learned about an animal that I have always longed to hold his antlers in my hand, the great people I met and the new experiences that I now hold. I also think that now my charades game would be stronger than ever as well! I later found out that the next set of hunters laid the smack down on the stags as the weather made the forest floor quiet and the stags began to roar making it easy to find them. I think five or six hunters killed stags over the next four days! Don’t hesitate to reach out to Marius of Hunt Romania and check out their website at www.huntromania.com. 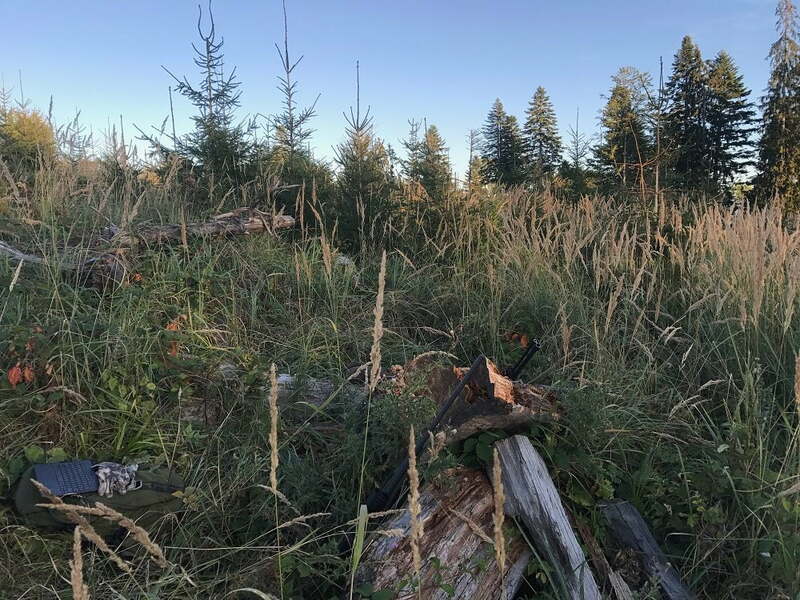 They run a good operation and my lack of killing a stag has nothing to do with their unwillingness but more about the weather and the timing of my hunt. Much like elk back home, the roar can vary by a week at times. Timing wasn’t on my side but I have a new found appreciation for the Carpathian Mountains and the Transylvanian roar that lives within it. One day I hope to be able to redeem myself! Other animals that they offer are roe deer, wild boar, chamois and mouflon. Hopefully the laws change and they can again offer brown bear hunts. Proud to report! 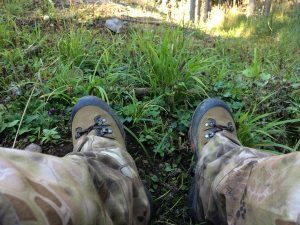 The Lathrop & Sons Mountain Hunter boots that I reviewed before deployment here were the same boots I wore on this trip. 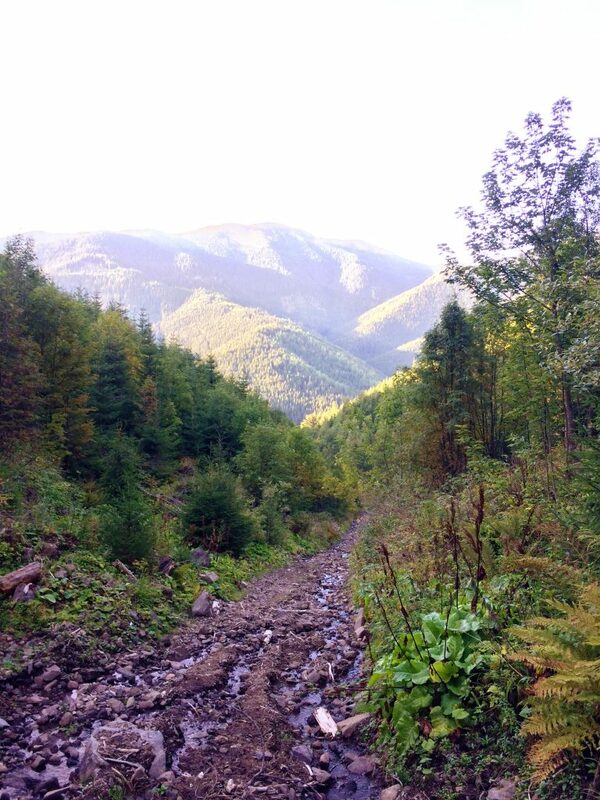 Needless to say the boots performed flawlessly in the harsh, wet and rugged environment of the Carpathian Mountains! You can ask Jared questions or discuss this article here. Missed Part I, read it here.